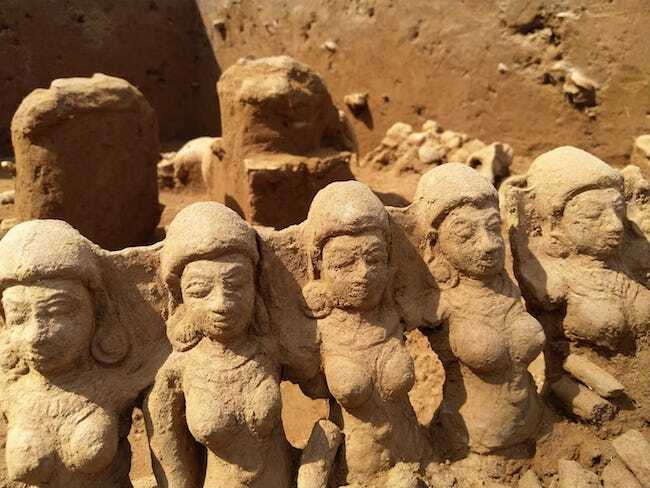 Upon excavation, terracotta figurines of the Sapta Kanyas (7 virgins), men and nagas (serpents) have been unearthed along with votive sculptures. When a few fishers from Kerala decided to visit the Pamba basin in Aranmula last month, little did they expect to stumble upon a piece of history hitherto unknown to the world. As they rowed toward the part of the river bank that had sunken-in during the floods, they came across ancient terracotta artefacts stuck between roots of trees that were uprooted. Excited to discover a secret buried in the river bed for so long, the fishermen immediately contacted the archaeological department to further excavate the area. A month post this incident, the Kerala Department of Archeology has now begun a rescue excavation to uncover more hidden terracotta treasures. 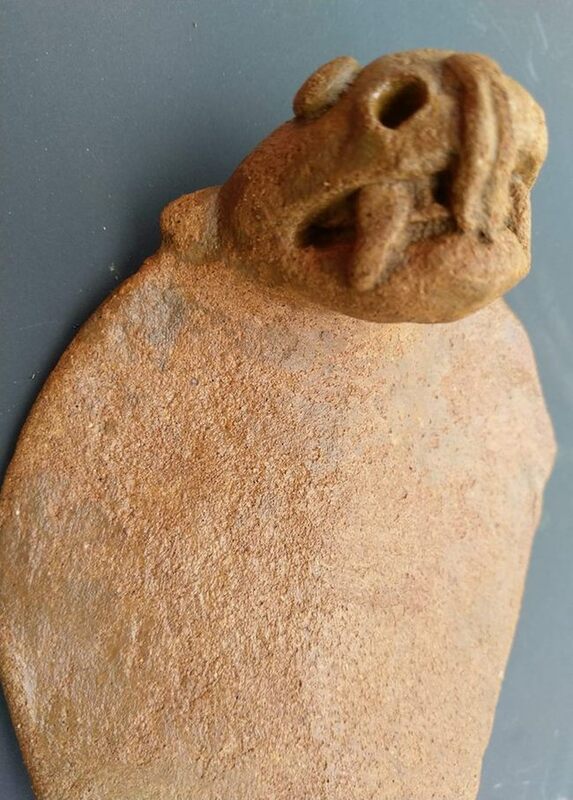 “We knew there was something here and it wasn’t a hoax as we had discovered terracotta figurines from this region earlier also,” Krishnaraj K, professor of the archaeology department told TNM. 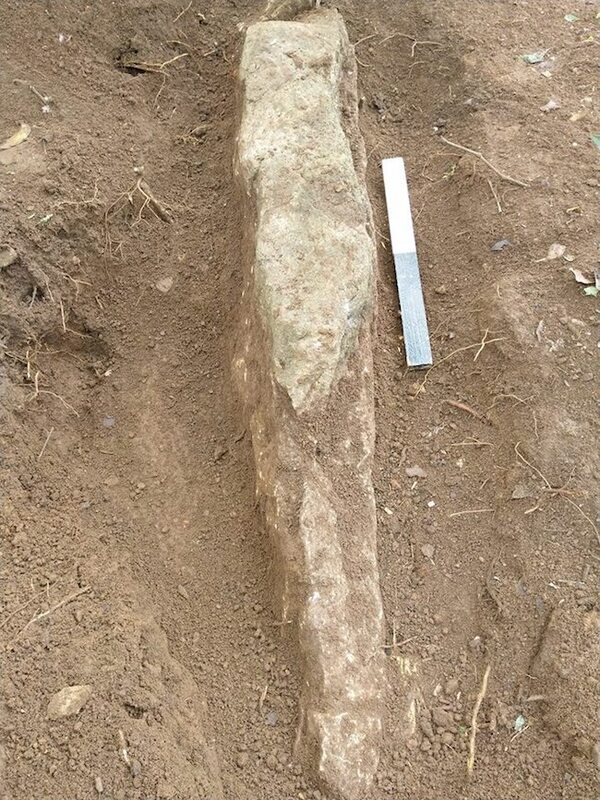 The work, currently in progress at the Kozhipalam region in Aranmula, has led to several more terracotta idols being recovered from the trenches. Krishnaraj, who is also part of the excavation team, said that the first samples of idols that were found by the fishermen were stuck inside the roots of trees that had been uprooted by a flood induced landslip in the region. Upon further excavation, the team recovered more clay idols, most of them having similar patterns. “Mostly, the idols had seven faces. A group of seven women sitting close together was a prominent kind of figurine. We also found male figurines and Naga (serpent) figurines. The idols look like they belonged to a place of worship — like a sacred grove for the naga gods (pambin kavu). The concept of Sapta Kanya (seven virgins) or Sapta Matrika (a group of mother goddesses) is a common theme in the idols. Votive sculptures or shilpams used for idol sacrifice was also excavated from the region,” he said. However, the archaeology team is not sure if this can be termed as remnants of the Pamba valley civilisation. “Saying that is a bit much. A civilisation stands as a huge era in history, consisting of many generations of people and their progress. Here we are talking about small tribes living close to the river. The idols found are mostly used for worship,” Krishnaraj added. A few of the figurines have been currently preserved at the Vasthu Vidya Gurukulam, a local institute in the area which teaches vastu, architecture, culture etc. Another small sample of the idols is with the Directorate of Archaeology as they were taken for initial inspection. The excavating team has also kept all the idols they found and unearthed from the basin. “We are going to send them for Thermoluminescence dating, a process used to determine the exact age of the figurines by identifying the time elapsed since the material was exposed to sunlight or heat. We will be sending the samples to Wadia Institute of Himalayan Geology in Dehradun,” he said. The team along with local conservationists group Aranmula Pamba Paithrika Samrakshana Samithi have decided to build a museum in the region to preserve the findings from the river basin.